Q-101. What is Click Paramount? Click Paramount is our online B2B tool which enables you to generate quotes more quickly, accurately & with more variety of options without following up with your supplier. Also, you can enjoy our pre-purchase deals just by registering on our portal. Q-102. How is Click Paramount Helpful? Get instant quotes, no wait for further amendments in your quotes, serve a variety of options to your client for the same destination, monitor your staff’s performance. Q-103. How to get registerd at ClickParamount? Q-104. How to Workout Multiple Destinations? Q-105. How to workout Single Destination? Please refer below YouTube Video for same. Q-106. How to make a quote on Our Portal? First you click on Plan my Travel. Then you put your client’s travel date, Pick up and Drop Point (in case you are taking a quote for an itinerary. Then you will have to fill in the total no. of Travellers like Total no. of Adults, Total No. of Child & Total No. Infants. Then you will have to put in your desired Destinations. Rest Process is self-explanatory or you’ll find more question for the further process that needs to be done. Refer Images also for same. Now your quote is ready. Q-107. Can we make online booking from the Portal? You can make a Booking request on our portal as if for now. Once you have made a booking request, our reservation team will start working on your booking request and you’ll get updates about the inventory availability on your Booking Tab > Check Availability Done Tab. Once it is done you can Create a Ticket and get your booking done. Q-108. Where do I find the cancellation policies for my booking? You’ll find your cancellation policies once you have made your quote and got the Query ID. Cancellation Policies of the hotels selected are mentioned in the below the Hotel Names as and how applicable by individual hotels. Q-109. Is my Data Safe? Q-110. What do I need to fill in No. of Travelers? You will have to fill in the total no. of Travellers like Total no. of Adults, Total No. of Child & Total No. Infants. Currently, Destinations active at Click Paramount are Himachal, Goa, Rajasthan, Kerala, Karnataka, Uttarakhand, Leh, Andaman, Gujarat & Kashmir. You can workout query for these sectors with hotel or vehicle only or hotel + vehicle also. Q-112. How Exactly this click paramount work ? Plan your travel is the key tool to workout quotes for various destinations. 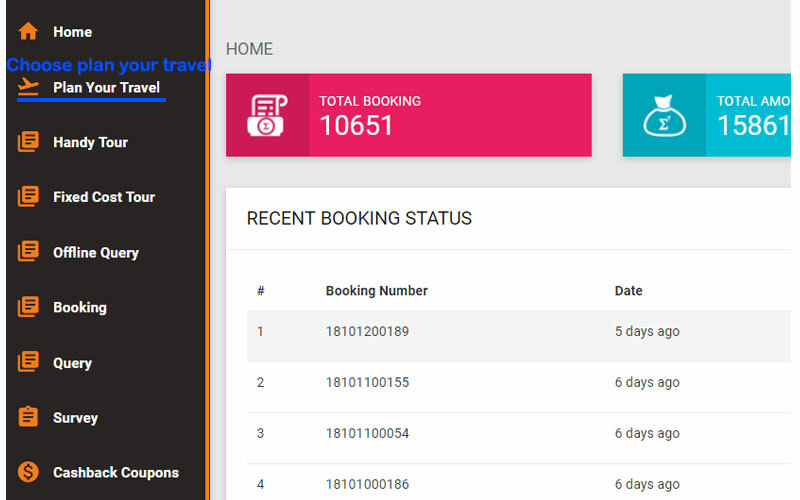 All quotes shall be saved with an auto generated booking ID, shown as Booking Summary number. This number shall be used used as reference number in all communication related to that particular query. 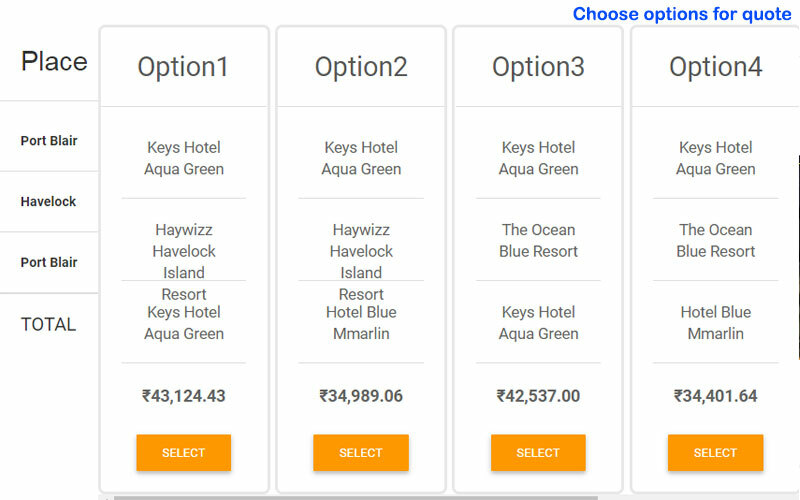 Main panel is known as dashboard where you get various options like Query, Booking, Plan your travel, Handy packages, My billings etc. All quotes generated by you shall be shown under Query segment. 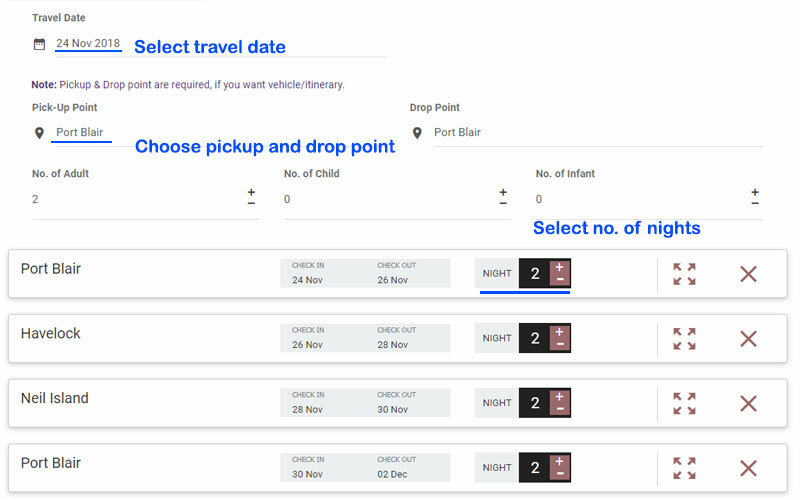 All confirm queries shall be shown under Booking segment. Q-113. Can we add multiple branches? Yes, now you can make login from various branch office location using same PAN card details. For help on same, call out Click Support Expert. Q-114. Can we add multiple staff members of our offices? Yes. Using staff.clickparamount.in you can generate username & password for your staff members & monitor their individual performance. You can hide a few confidential informations which are their at primary user dashboard. Q-115. What is Click E Wallet? E Wallet is a advance re-fill of a certain amount which you can use against your confirm bookings. 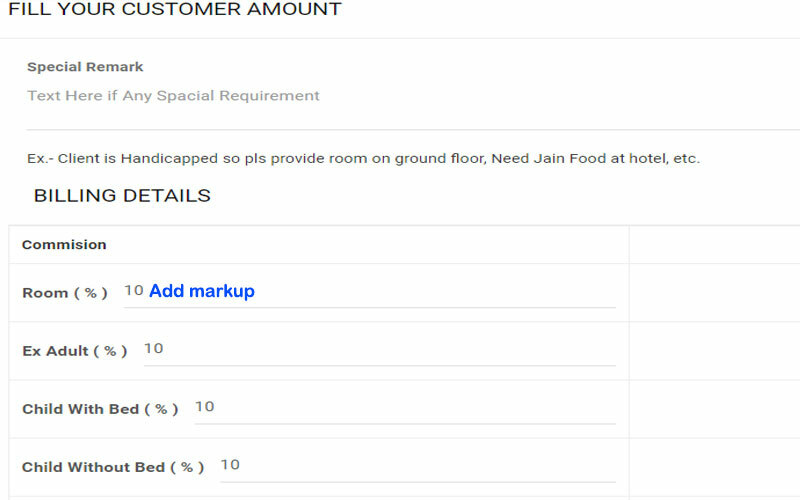 Invoice amount can be deducted from the Wallet against a particular booking. It can also be used against Instant Payment, on route arrangements or for last minute bookings. Q-116. What is EMI System at Click? You can avail easy EMI Facilities at our portal for 3/6/9/12 Month. For more details about same please contact Mr. Mukesh at 9987681455 or write us at account1@paramountmail.in. Concern department will revert you with proper details along with terms & condition of same. All booking with their current status will be shown at your dashboard. 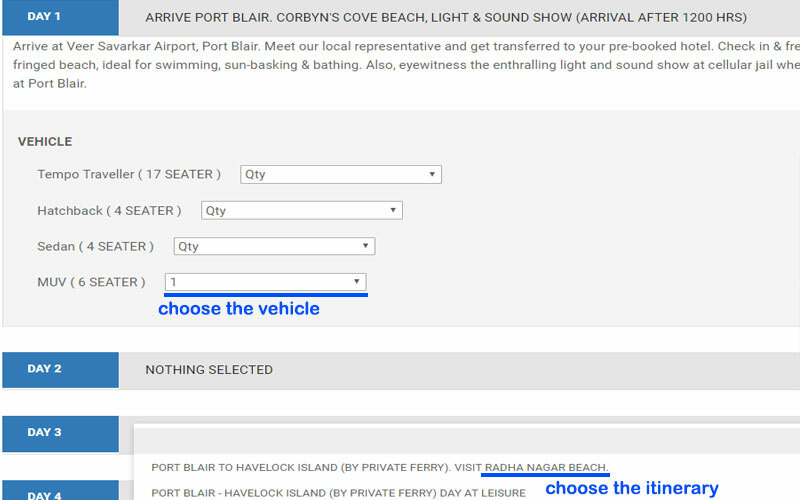 Once the status turn into “Confirm” You can download the proper format of Itinerary / Voucher and Proforma Invoice by using Booking View. There is an option of My Billint at your dashboard. You can upload proof of payments made by you (screenshots or scan of slips) against any confirm booking. Our relevant team will acknowledge the same as soon as payment will reflect into our account. Q-118. What is Handy Packages? 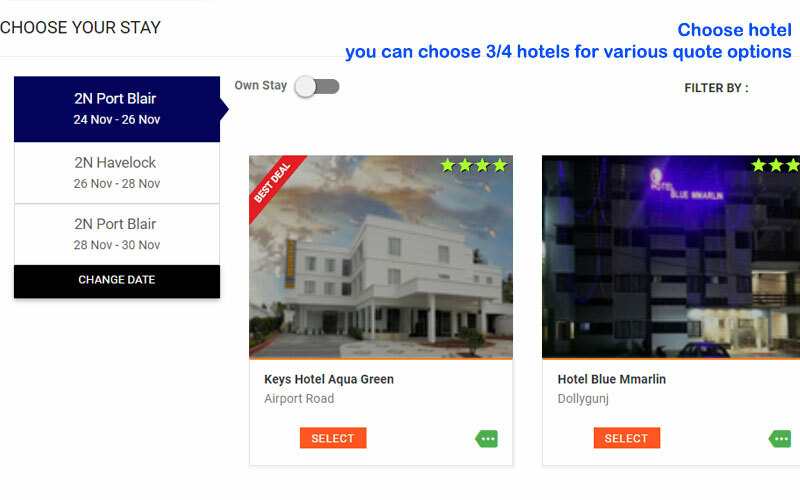 Handy packages are ready to book packages with non-amendable hotel combination. You can simply choose these fix itinerary and make booking request.